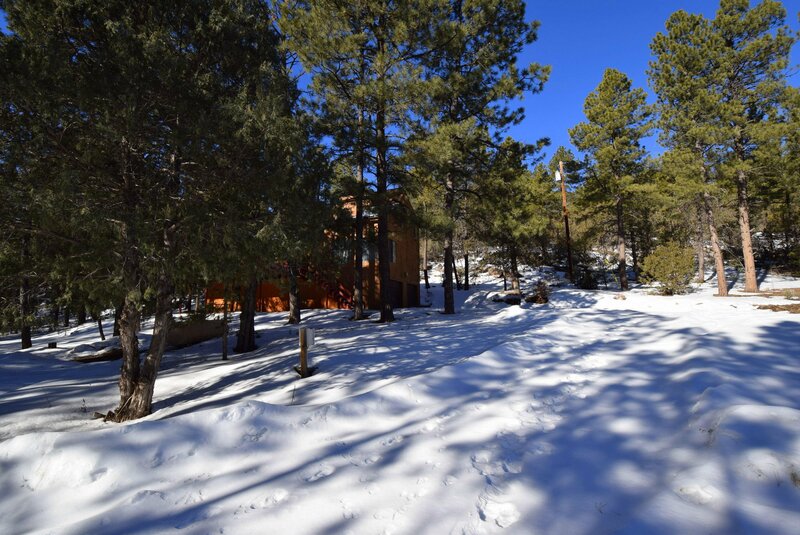 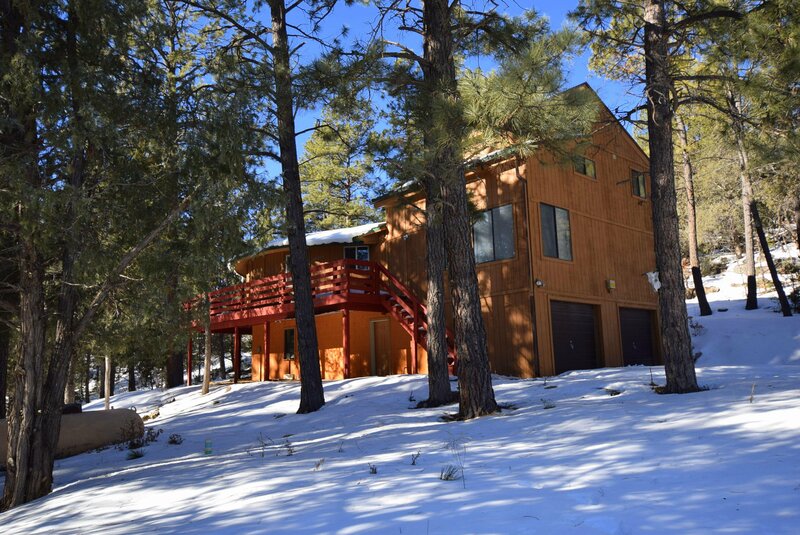 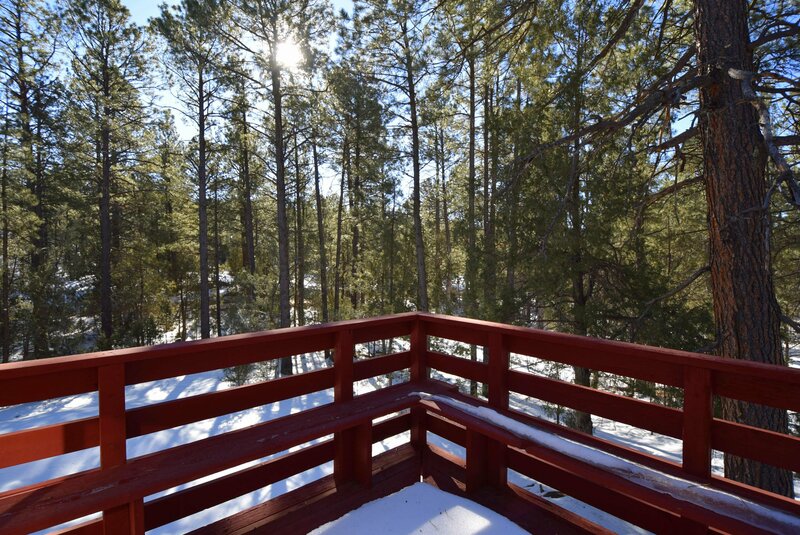 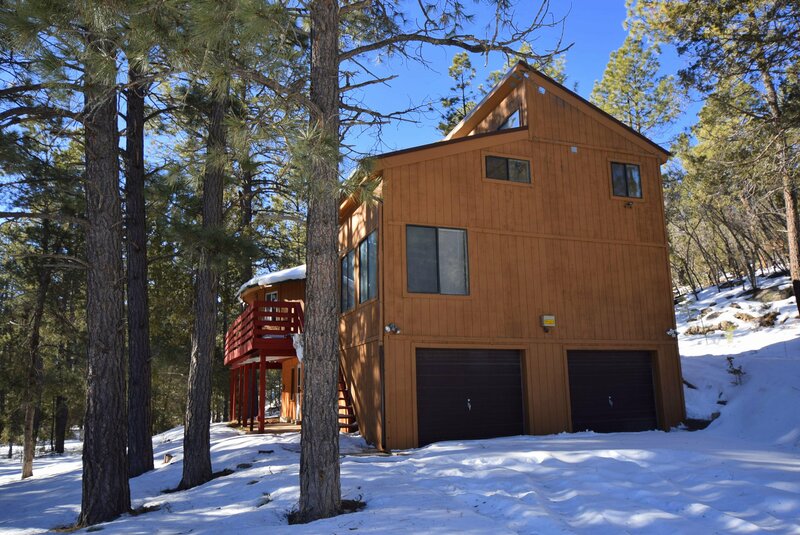 Five acres of towering Ponderosa pines surround this unique mountain retreat. 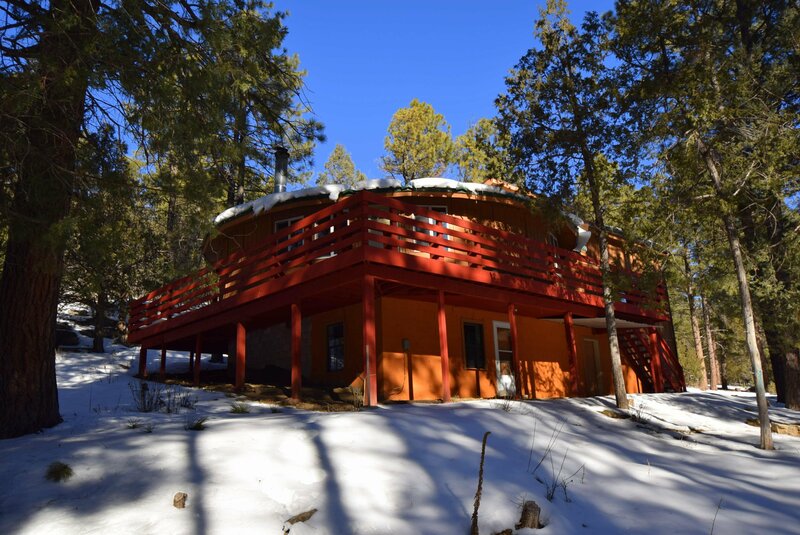 Main living area of the house is at treetop level offering a beautiful setting. 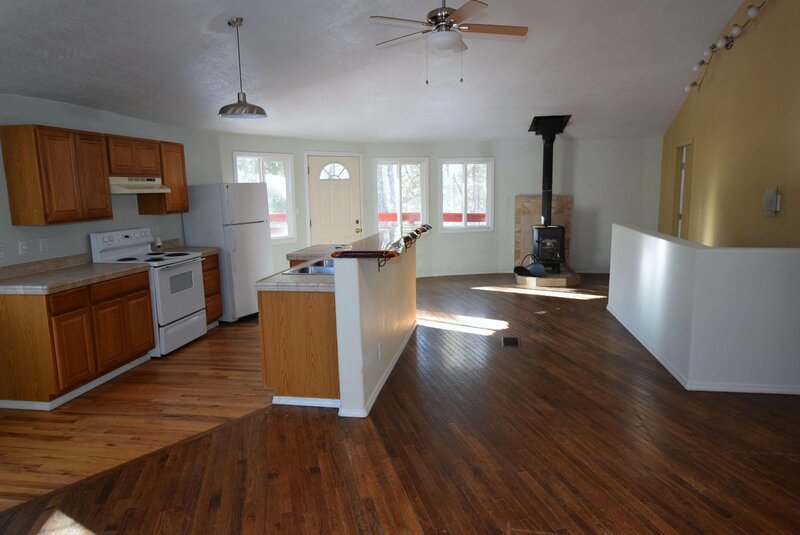 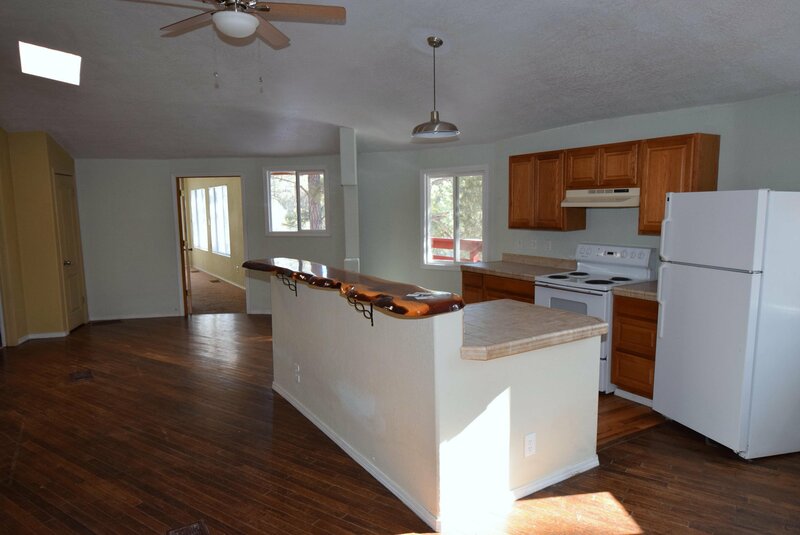 This home has a remodeled kitchen, new furnace, wood burning stove, along with 2 living areas, 3 bedrooms and two and half baths. 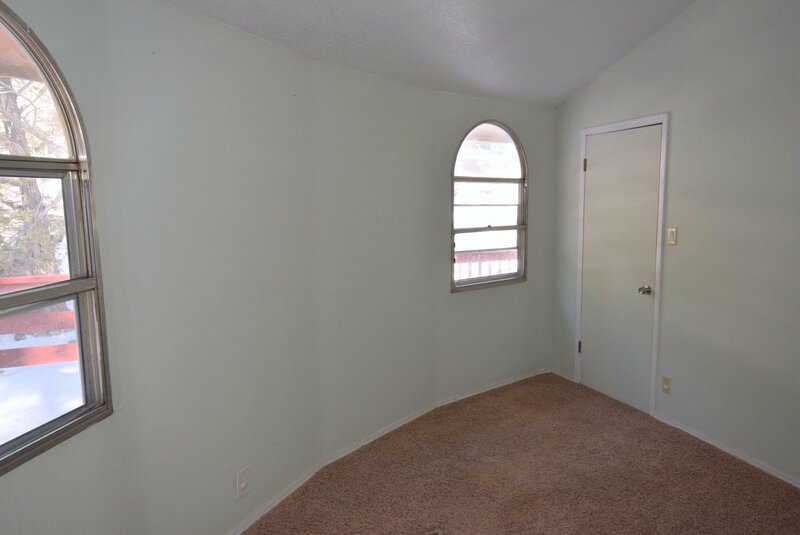 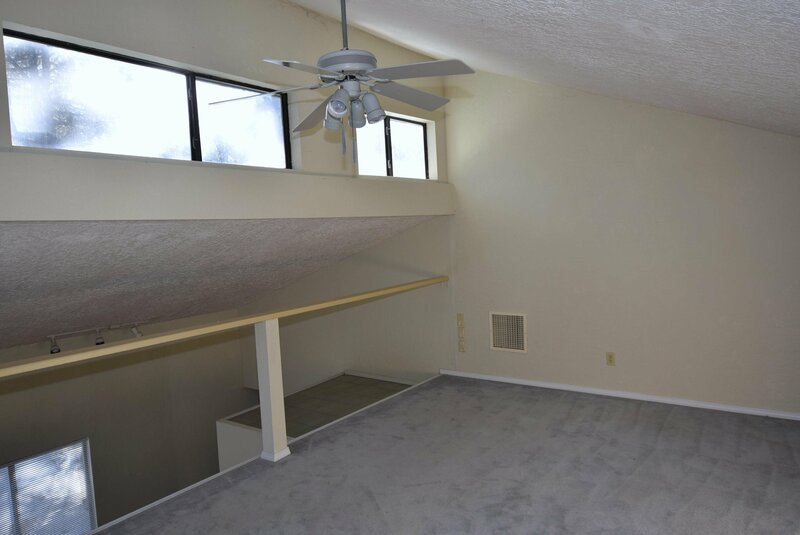 The master bedroom offers a loft area great for an office or study, as well as a huge walk in closet and bath room with a claw foot tub. 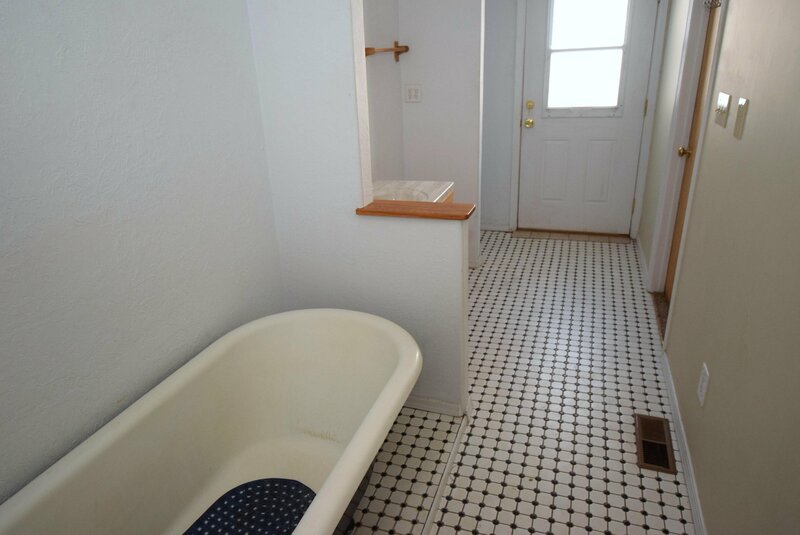 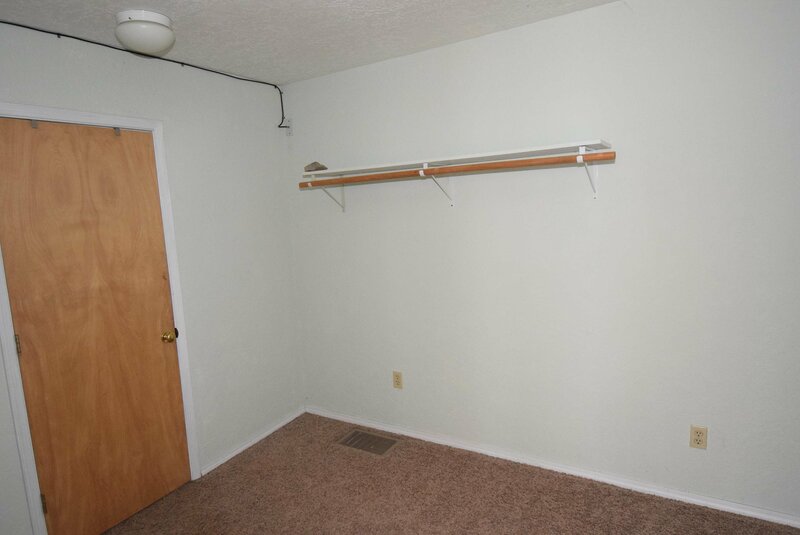 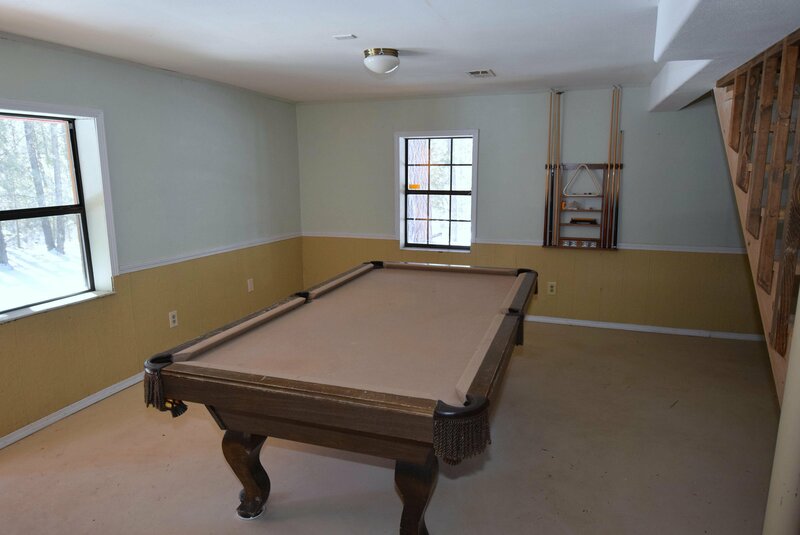 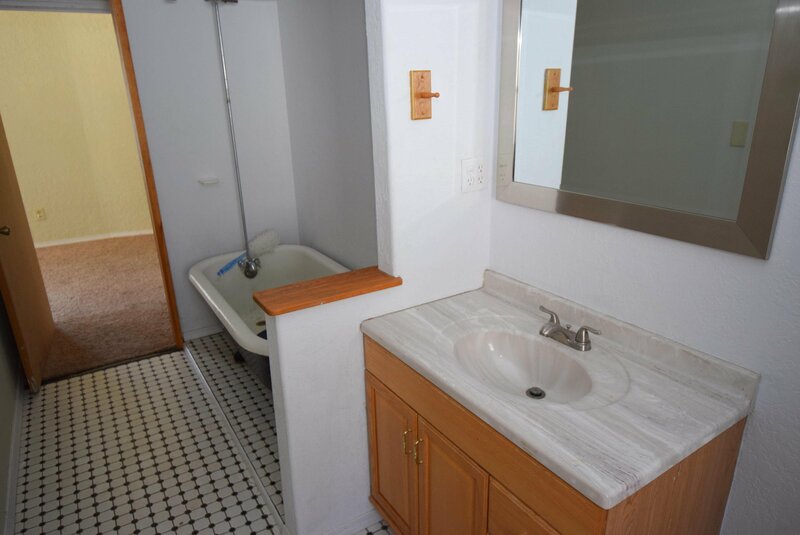 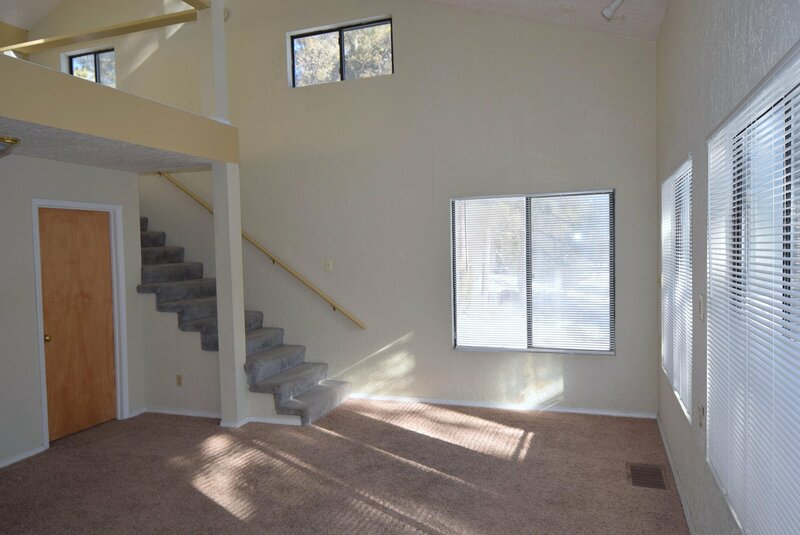 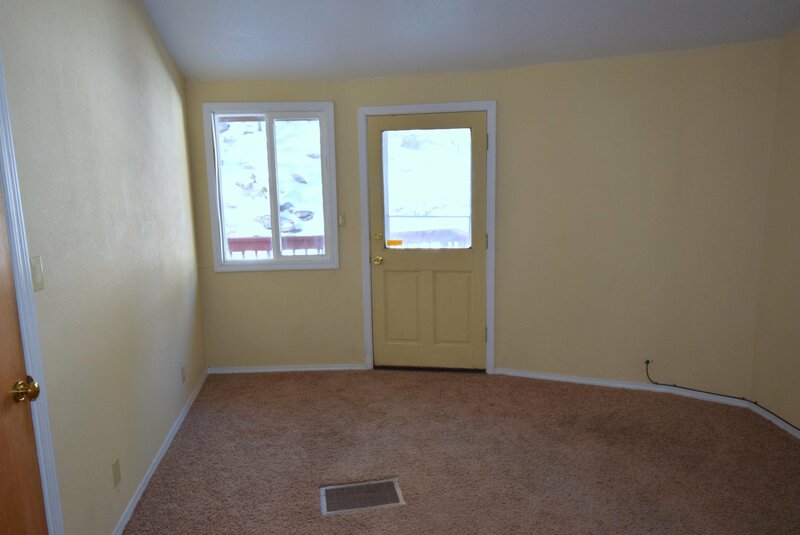 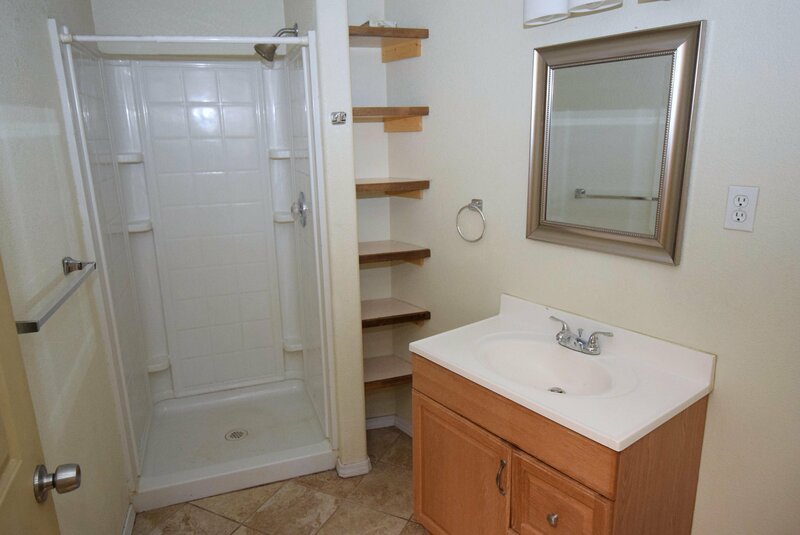 Down stairs you will find a 2 car garage, a game room , laundry area and half bath. 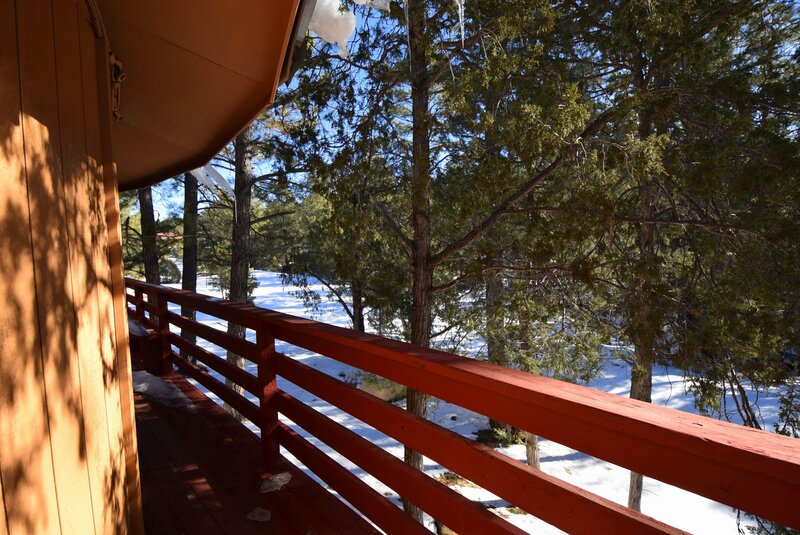 This one of kind home is wrapped with a deck for enjoying the summer breezes. 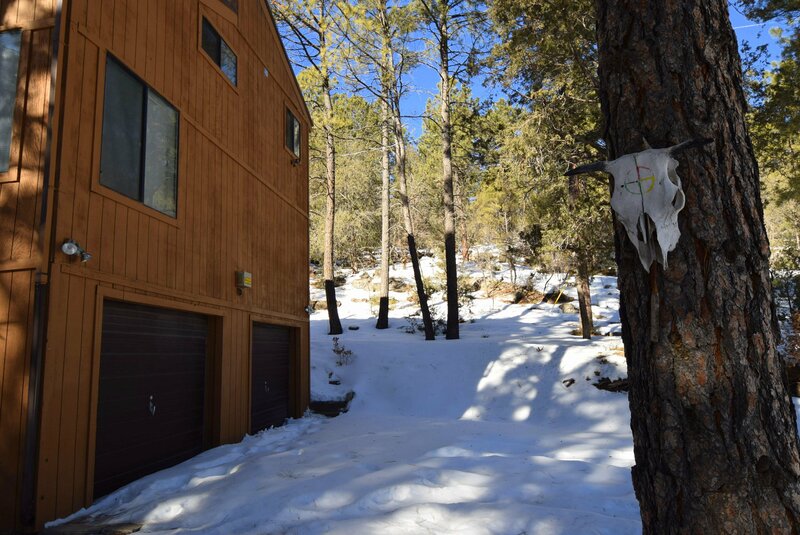 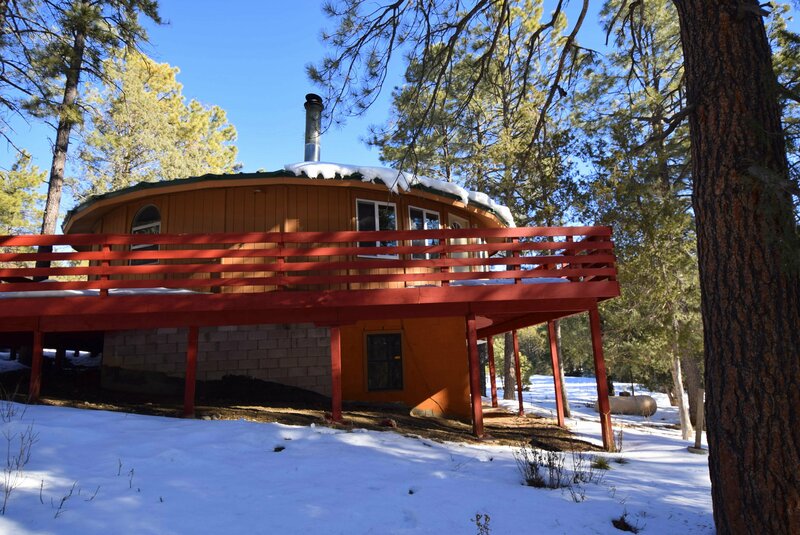 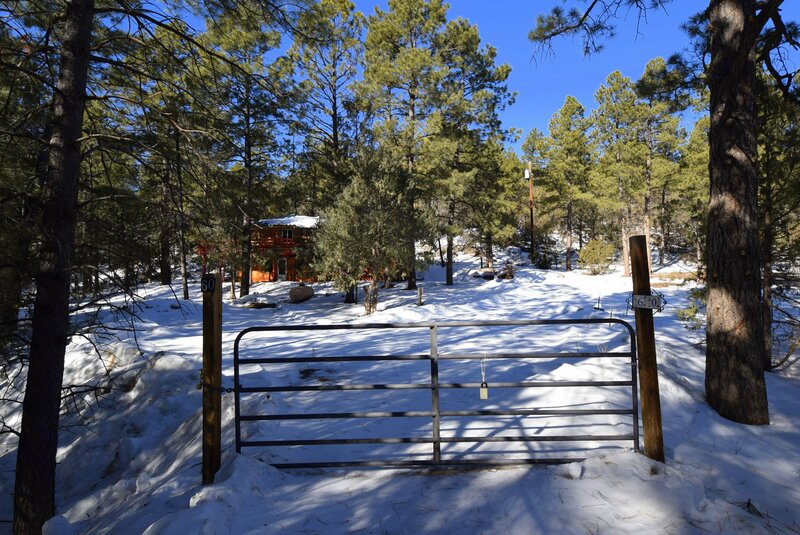 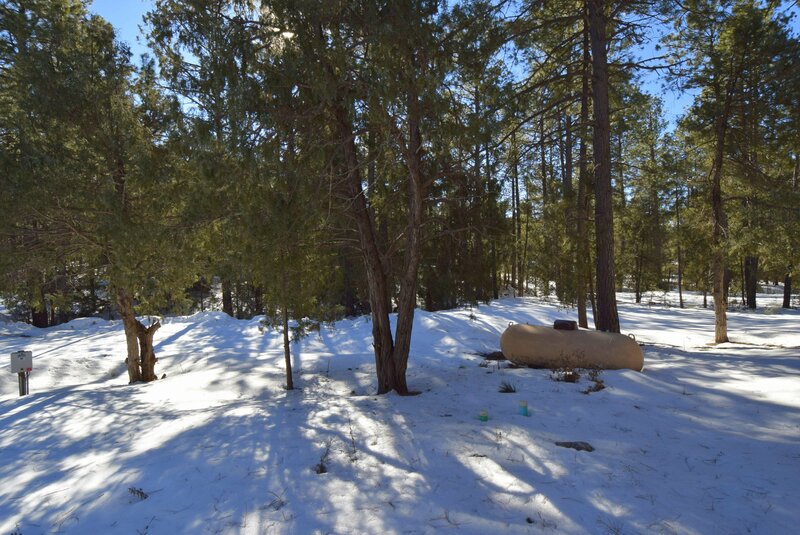 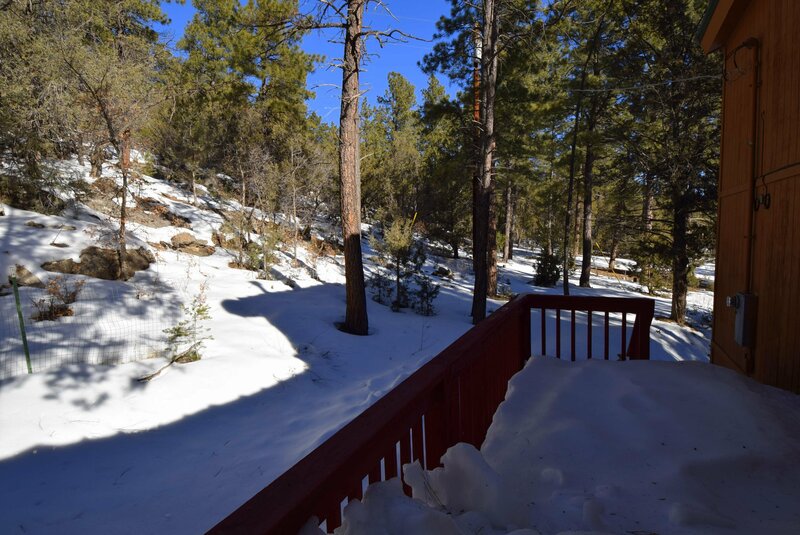 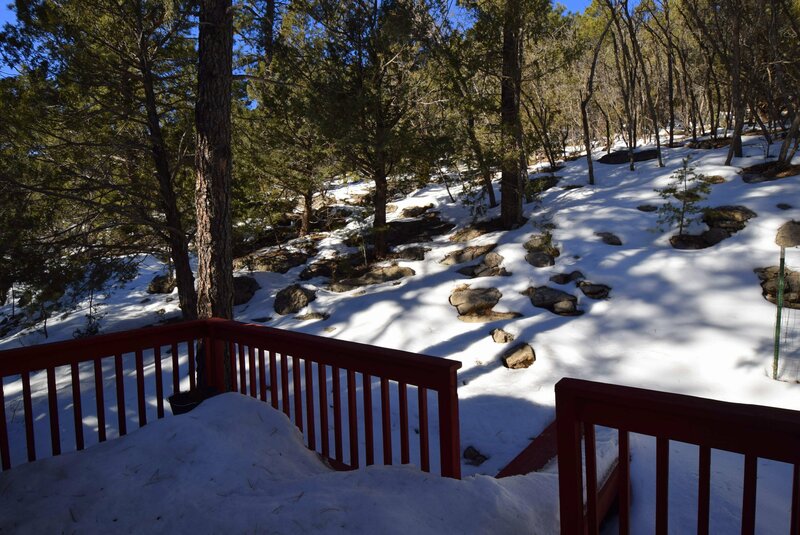 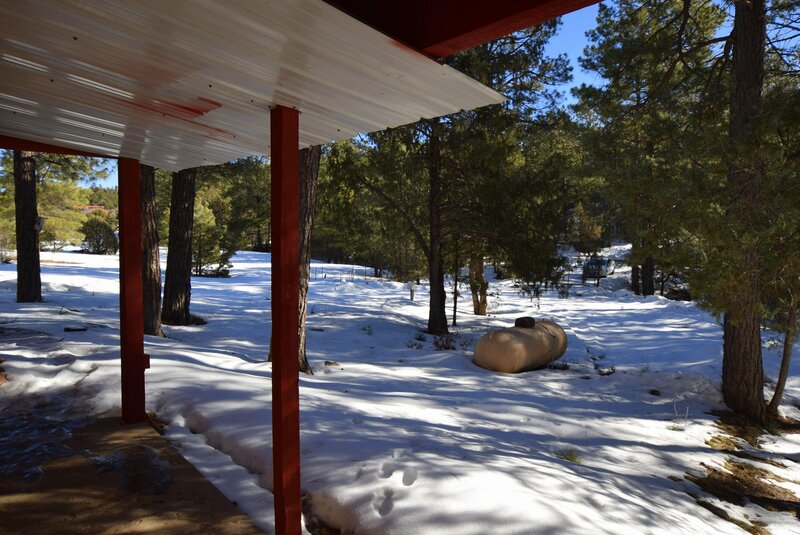 This property makes for a peaceful retreat all year round.